Each of your homes is a personal sanctuary, offering endless opportunities for individual expression. I remember the sheer joy I experienced as a child realizing I had the power (with my parents help, of course!) to transform my bedroom into a space that radiated my character. Curating my living spaces with endearing personalized decor has become one of my passions ever since. 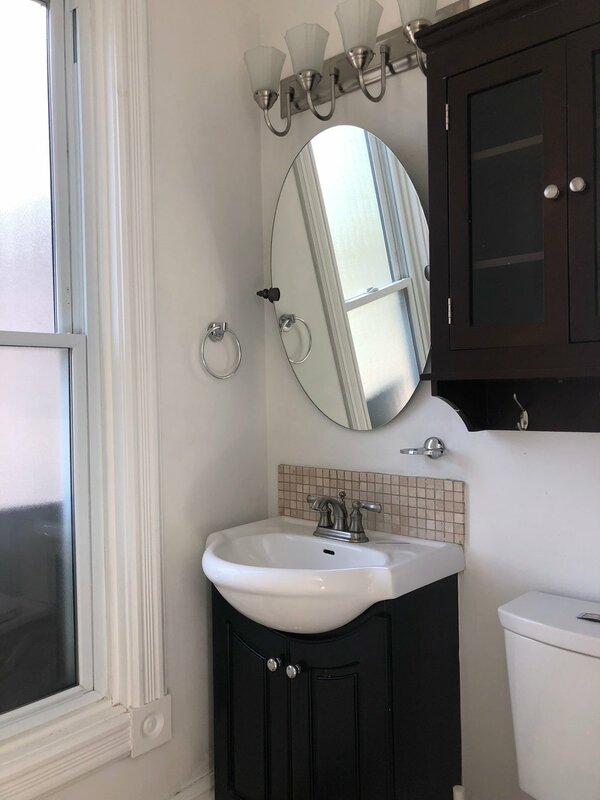 I consider renovation an opportunity to reimagine the ways in which I can organize various design and architectural elements to act as an extension of my personality and style. This being said, I must admit that initiating renovations can sometimes prove to be an overwhelming process! This is the largest renovation project I’ve ever undertaken and it’s nearly become a full time job! With that in mind, I wanted to offer a little guidance and some lessons I’ve learned along the way. 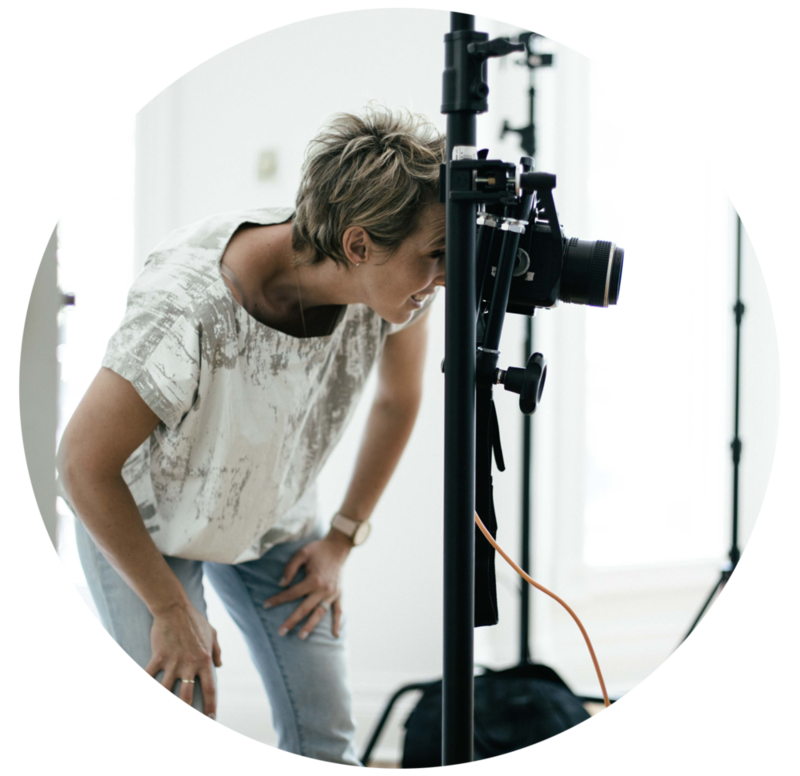 I have found there to be three key guiding stages in large-scale renovations that prepare you for the affair. I’m including the ‘before’ pictures; I can NOT WAIT to share the ‘afters’ with you soon. 1. Recognizing spaces that are ‘not your favourite’. The first stage is pinpointing the aspects of your home that are not your favourite. I use this turn of phrase because many spaces are not necessarily problematic but they fail to inspire happiness and encourage use. In my case, the designs of my kitchen and dining room were not my favourite. Living with the inefficiencies of a purely elemental 1970s kitchen for three years, drove my motivation to update the space and expand it into the dining area. By modernizing and connecting our dining room and kitchen spaces, I hope to revert the dining room from being used as a thoroughfare to an aesthetically pleasing destination. When designing spaces, I'm a big believer in ‘zones’. Unlike back in the day where walls divided zones, I’m trying to get a little more clever and space efficient by allowing the decor to both guide and define zones. 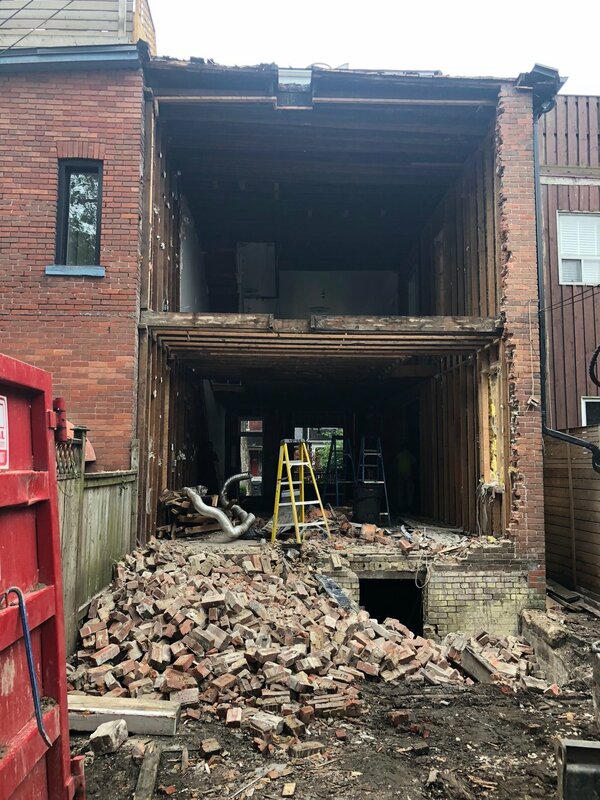 The second stage in renovation is coming to terms with the fact that you may have to let go of some original character in your home. The decision to renovate our family home came with its challenges. 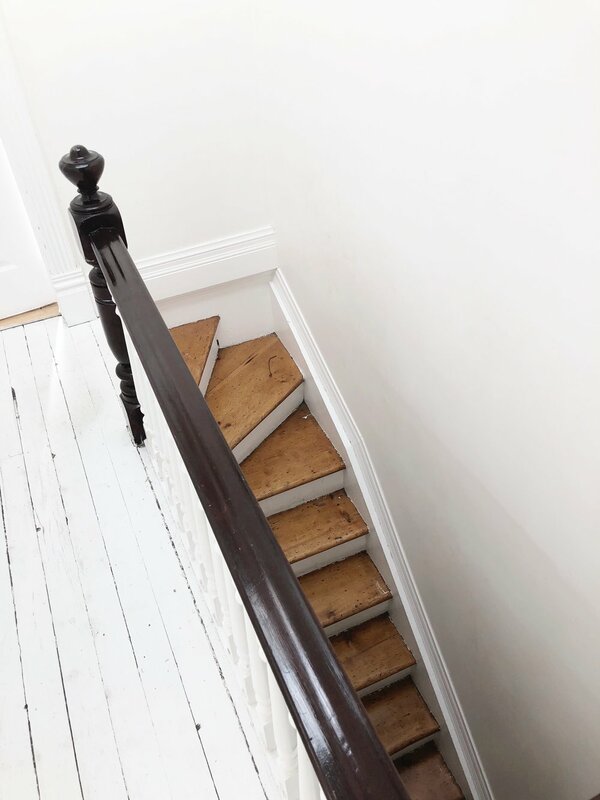 I knew it would entail letting go of certain original features such as the staircases, baseboards and trims, as well as, the charming creaks worked into the white floorboards of my studio. That was a little painful in fact, but try to keep the big picture in mind as you make your decisions. 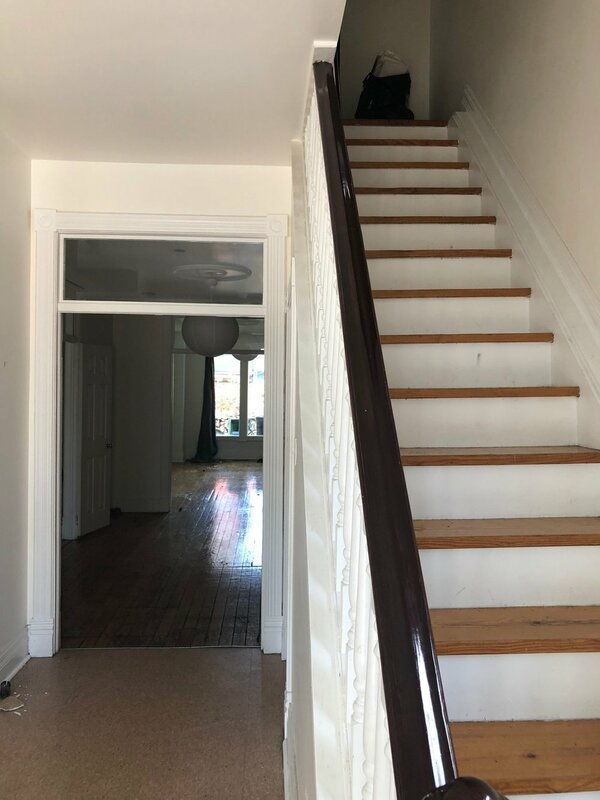 As much as I found it difficult to let go of some of these endearing features, I was ready to reinvent the interior of our century-old riverside home to feature more modernized spaces. In the past, circumstances forced us to remove all the aspects of our nineteenth century villa (an emotionally painful experience for me), so I was adamant to bring back the Victorian charm and juxtapose it with the more modern elements we wanted to introduce. Featuring a beautiful archway in the entrance of our home is my way of harking back to the old world allure. 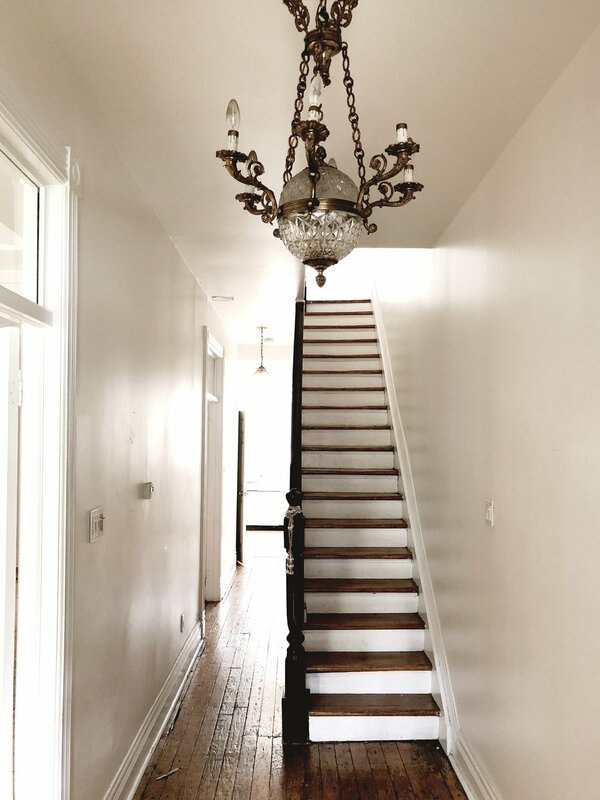 Decorated with chic pendant lights hanging from classic ceiling rose medallions, the entrance uniquely sets the aesthetic precedence for the rest of our home. The pendent light destined to hang in our new vestibule is an original fixture I was pleased to salvage from the house pre-renovation! Personally, I am a big fan of a well-fashioned entrance way as this is where you first greet and converse with people whether they are on your doorstep or coming in for a cuppa (or a vino). It also acts as a vital space (especially during the winter months) where both your family and guests can hang their jackets and park their shoes. 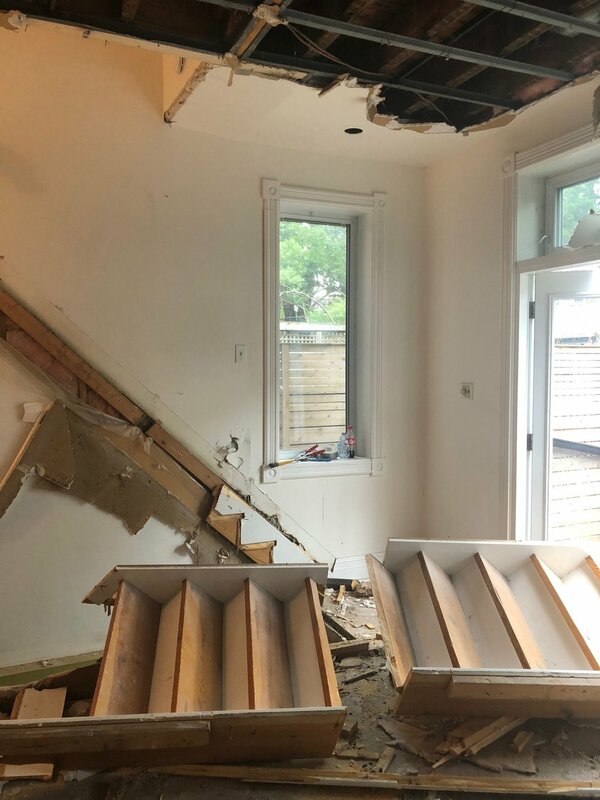 The third stage is preparing yourself to run into surprises and unexpected discoveries when embarking on your renovation journey. Opening up the kitchen and expanding it into the dining area required some reorganizing of plumbing and electrical wiring. It wasn’t long before we thought “hey, why not make the basement more efficient too?” which meant relocating the laundry room to the second floor… which subsequently led to the main floor bathroom getting a re-model as well. 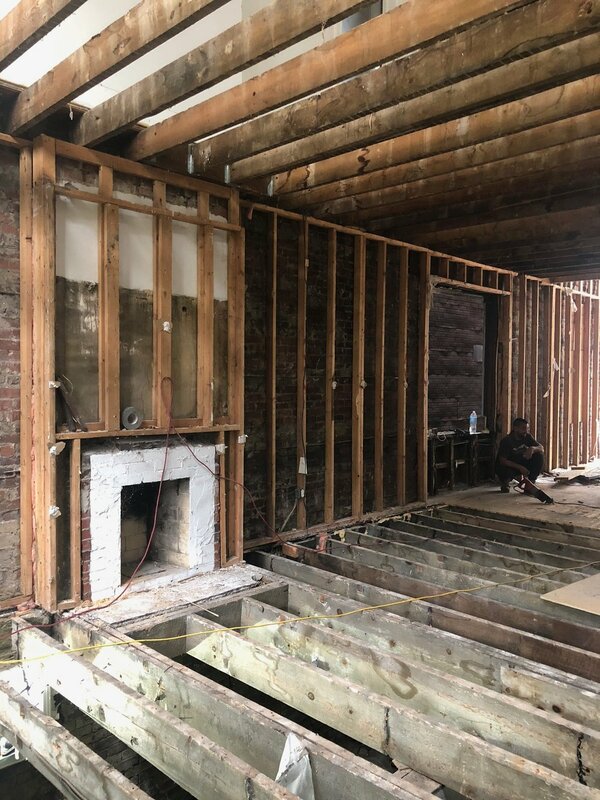 Like all renovations, it's not until you open up the walls and floors that you see what's lying underneath ... for us it was black mold and some little critters that were all calling our house their home behind the scenes! Essentially, our kitchen remodel became an entire house remodel. The extent of our home renovation was an unexpected but has become full of welcome surprises. Our cozy sanctuary is now going to be charmed with the mix of modern design and Victorian highlights. I encourage you all to reimagine and reinvent your spaces to reflect your personal charm and to embrace unexpected surprises which inspire new opportunities for change. I’ll keep you posted with more renovation blog news soon! in the meantime you can check out my Instagram stories for live updates! Introducing; 'Paper Cuts' - Captures of immobile surrealism.